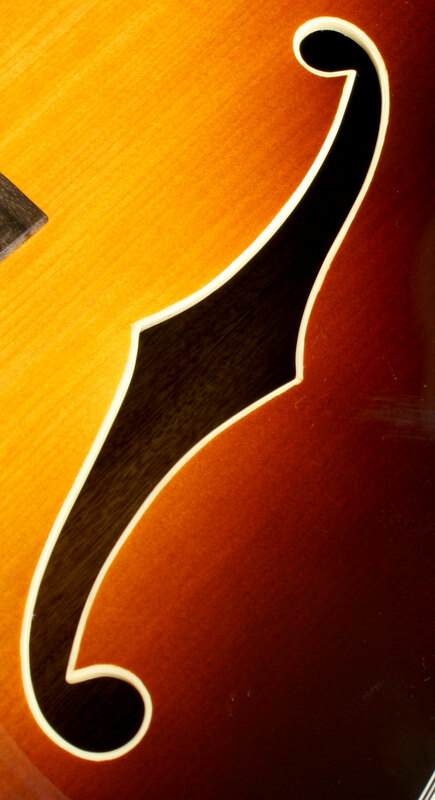 For us, the Eastman line of archtop guitars represents the very definition of 'best value' for instruments of this type. When one considers how splendidly crafted they are and the high quality of the materials used, then it is easy to appreciate the superior performance characteristics of these instruments. One is tempted to say that they are without peer. 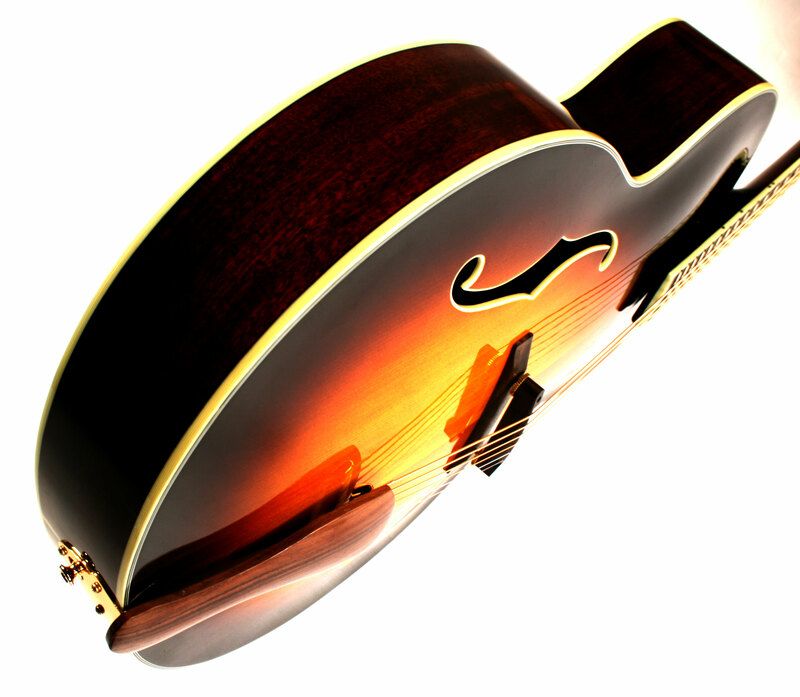 The Eastman guitars designed by Jim Fisch are handcrafted with a carved solid spruce top and carved mahogany back with mahogany sides. They feature a rosewood fingerboard and fittings, Jinho Imperial tuning machines. 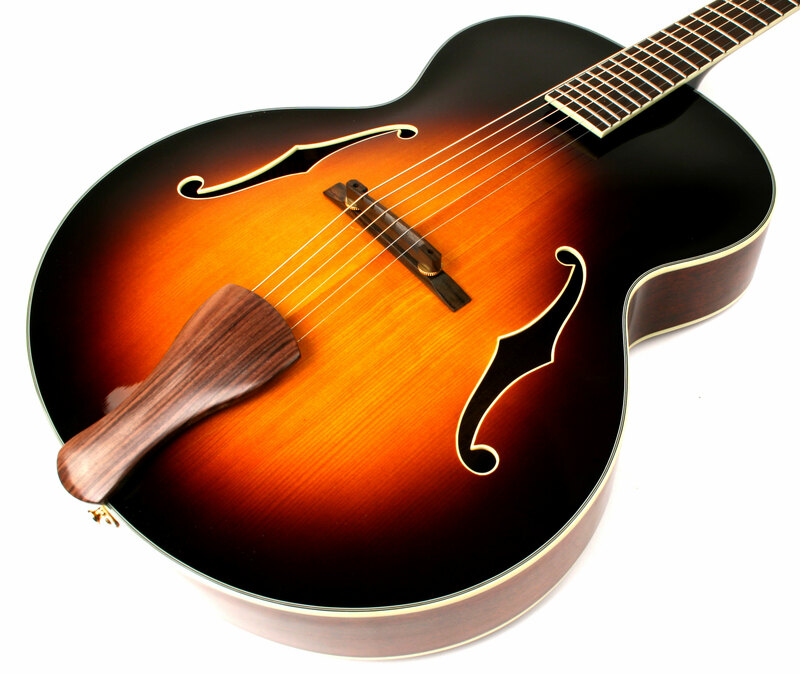 This instrument features Eastman's beautiful Classic Sunburst finish. This rare, all acoustic, Eastman archtop is a joy to play! It has much more acoustic volume than it's electric peers, and the tone is lush and full. 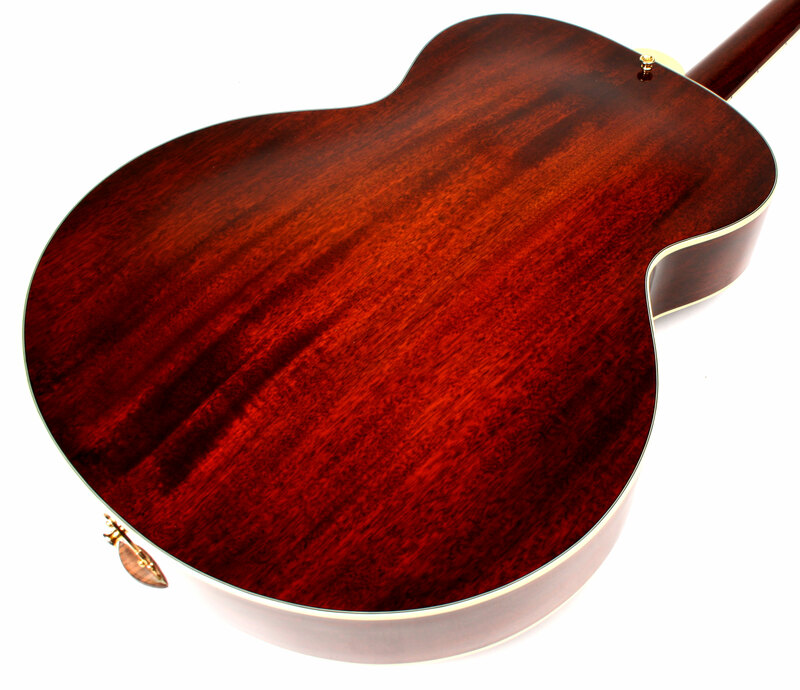 It is very reminiscent of the classic Llyod Loar L5 design and the Collins AT16, but at a fraction of the price. It makes an excellent swing rhythm guitar, is wonderful for solo fingerstyle playing, and works very well for Gypsy jazz as well. 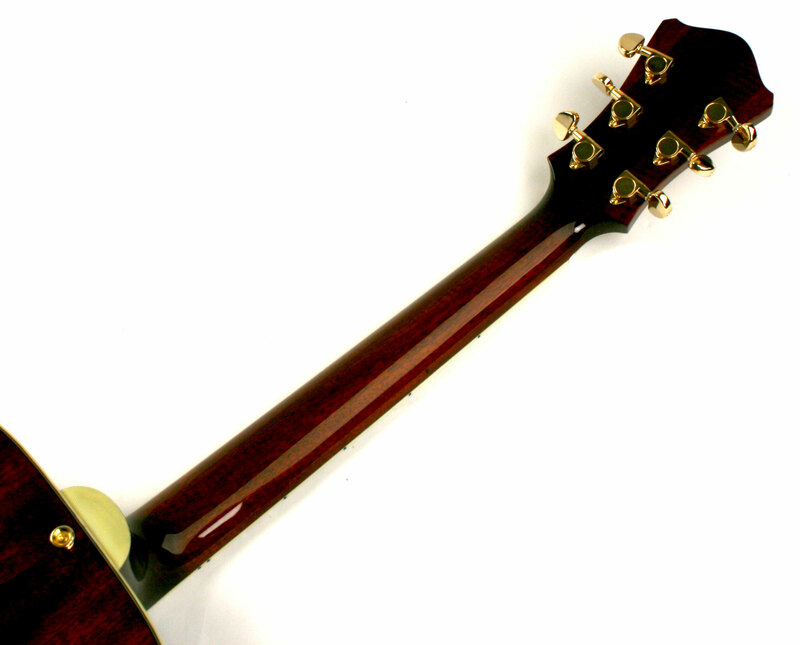 This guitar includes an archtop hardshell case. 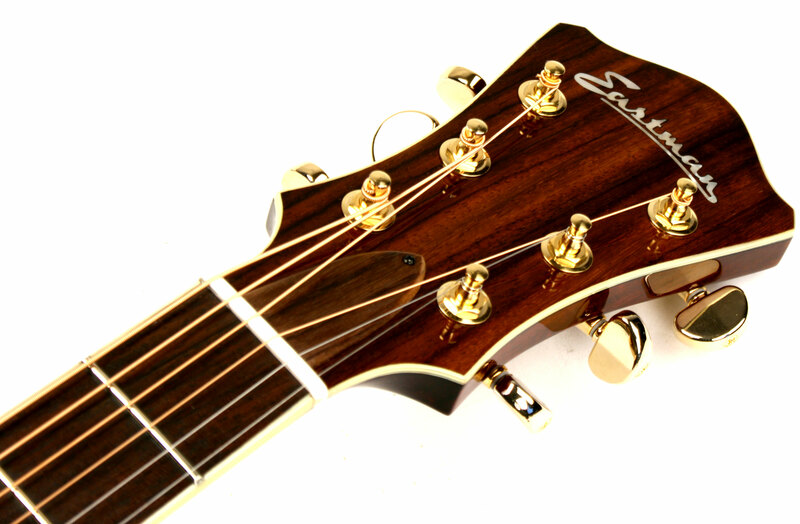 Would you like an acoustic pickup?